ATA Girl received high praise at the BBC Audio Drama Awards last night and until midnight on Tuesday, you can download episode 1 for free! Plus, we reveal the cover of Transference, our next Big Finish Original, today. 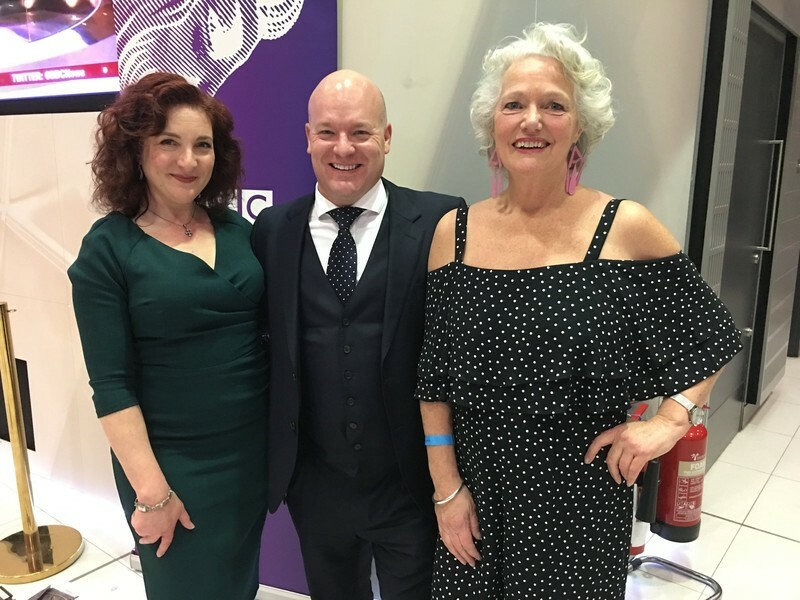 We were delighted to hear that ATA Girl was well received by the judges at the BBC Audio Drama Awards, and everyone at Big Finish are very proud and excited for the team. ATA Girl received a commendation and we were ecstatic to be selected as finalists amid such a wide range of quality of audio productions. In order to celebrate the commendation, you can pick up the first episode of the series, Up in the Air, for FREE until 23:59 UK time Tuesday 5th January. Head here to download it. It’s March 1944 and young widow Daphne Coyne arrives at the Air Transport Auxiliary, having signed up to train as a new pilot. Already unsure of her decision, she is shocked to find that her estranged younger sister, Rebecca, has also joined the ATA, hoping for a chance of reconciliation. A special congratulation to Eve Myles, who also won an award last night in the best actress category, for her role in the audio drama 19 Weeks. We’re very grateful for the opportunity to work with Eve, especially in our other Big Finish Original, Blind Terror. You can get a free excerpt of Blind Terror here. And in other Big Finish Originals news, today is the reveal of the cover of Transference, the next in our line up of Big Finish Originals. Alex Kingston (Doctor Who, ER, A Discovery of Witches) and Warren Brown (Luther, Strike Back, X Company) star in Transference. Alex Kingston takes on the title role of Sam, a psychotherapist struggling with a recent bereavement. But her life will change forever when she meets a new client, Keith, played by Warren Brown. 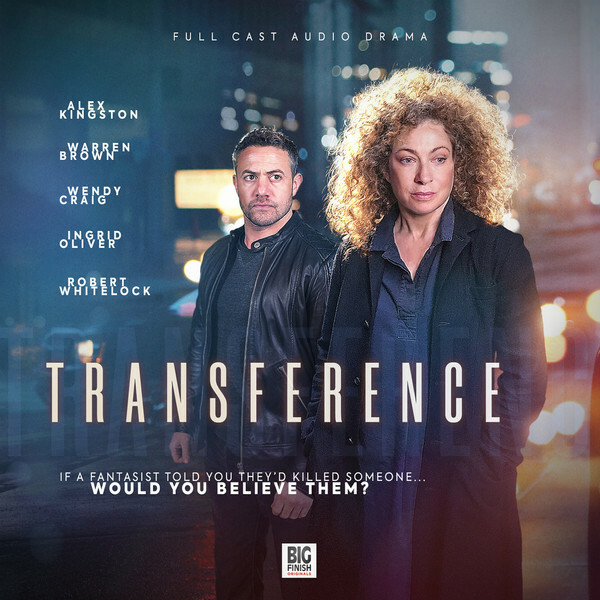 Transference, is an eight-hour special release, twice the length of our other Big Finish Originals. It will be released in August 2019 on download from Big Finish at a pre-order price of £34 until its general release at the end of September 2019, where it will rise to £40. Or you can save by getting all seven series in the Big Finish Originals range with a bundle. Save and get five series immediately and pre-order the next two for just £140.